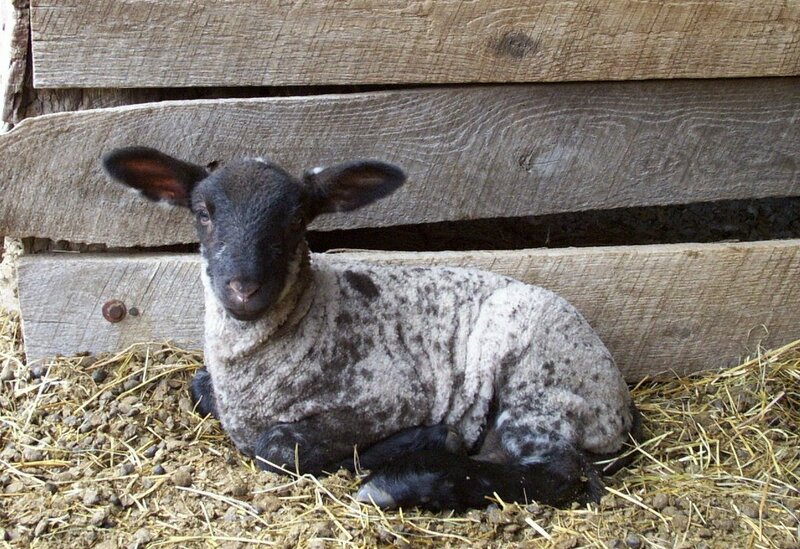 Do you remember the wildly popular (and absolutely hysterical) Name That Sheep Contest I held back in October? (No? Then read this and then this to find out what you missed.) Do you remember how disappointed you were when you didn't win a sheep? Well, guess what? You have another chance! No, it's not another contest. It's something much better. And it doesn't even involve bashing anybody else's entry. All you have to do is fork over five bucks (that would be dollars, not deer). Food bloggers from around the world have joined together for the second annual A Menu For Hope Campaign. Last year, a substantial sum was raised to support the victims of the Tsunami in Southeast Asia. This year, we area asking our readers--that would be you--to help us raise funds to support the victims of the devastating earthquake in the Kashmir region of India and Pakistan. But what fun would it be just to beg you for some dough, even if it is for a great cause? Instead, we've put together a huge list of cool, fun, and personal gifts (like only we could) to entice you to donate. Each of the gifts is being offered as a virtual raffle prize. All you have to do is donate $5 and you will be eligible for the raffle drawing for a gift of your choice. On our menu this year is everything from a chance to have an afternoon tea with the one and only Clotilde of Chocolate and Zucchini, to a personalized Napa Valley itinerary created by über-wine blogger Alder of Vinography, to a chance to be in the Amateur Gourmet Adventure video with Adam himself, to three very fancy hampers featuring the true artisanal flavors of the San Francisco Bay Area put together by Sam of Becks and Posh, and many, many more, including several gorgeous cookbooks. We are once again using the site First Giving to collect the donations. In the interest of transparency, First Giving will do all of the collecting and then forward the funds directly to Unicef, our recipient organization. The fund will be earmarked to support the victims of the Kashmir earthquake. 2.Go to A Menu for Hope II donation page and donate $5 or whatever sum you desire. Our campaign will end on December 23rd, and the winners will be announced and the prizes sent to corresponding winners after January 1st 2006. Any shipping charges for prizes are generously being paid for by the donors. So what did I donate? The 'honorary ownership' of the first ewe lamb born on my farm in 2006! And what does that mean exactly? Well, it's pretty much the same deal as it was for the Name That Sheep Contest. You become the honorary owner of the lamb. You get to name your lamb whatever you want. And, if you so desire, you will receive (via email) periodic news about your lamb, including what she's been up to lately, how her health is doing, and photos as she quickly grows from absolutely adorable bouncing baby to lovely young lady (assuming, of course, that she is willing to pose for them). Note: Being the winner does not mean that 'your' new sheep gets to come and live with you. No, she stays right here on the farm (and you don't even get to visit her). But, you do get to tell all of your friends that you are the proud owner of a sheep. You simply explain to them that your sheep lives in the country because she is much happier there than she would be in, say, your fifth floor apartment or out on the fire escape or eating up all of the landscaping in your beautiful backyard. Ding! Ding! Ding! It's the Holiday Gift Idea Bell ringing again! Why not do a little multi-gift-tasking and purchase some virtual raffle tickets for friends, neighbors, the person who walks your cat, or whomever? Just choose the prize you think they'd like the best and let them know that you've not only made a donation to a worthy cause in their name, but that they might even win a nifty gift as well (like a sheep). You can't beat that. Thanks in advance for your participation. Let's hope we can raise enough money to make a difference--and maybe you'll even win your own little lamb at the same time. P.S. The spotted darling in the photo is not your lamb. Your lamb hasn't been born yet. Cute, though, huh? Imagine 17 of them racing around here last spring. . .
Oh, I love your gift idea! Every worthy donation drive needs a virtual sheep. :) I'm going over to donate right now. What a brilliant idea, Farmgirl! How much can I bribe to be certain of winning the sheep? God Bless the "Menu For Hope" campaign! Ha ha, I never thought of it as a 'virtual' sheep. If you win, you get to name her whatever you want! I think this whole event is really wonderful. The array of prizes offered are amazing. As Pim put it, let's hope we raise gobs of money! Thanks for offering this up, FG! Such a lovely idea Susan. 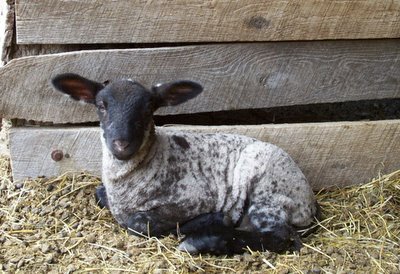 A lamb of our own that we can love from afar and all in a great cause. Hi Susan. I am Jennifer New, winner of the Ewe! I just looked at Chez Pim and saw my name. The only other thing I've won in my life is a side of beef in a contest my grandparents entered me in when I was a child. Let me say, this is much more exciting and adorable. So, golly, what next? We'll put her photo on our fridge and send funds for carrots...or whatever...! I'll send you photos as she grows up (they get big fast! ), tell you about her mother and her other sisters, etc., and generally keep you updated on how and what she's doing (if you're interested). Again, thanks to everyone for participating in the Menu For Hope Campaign. We couldn't have raised over $17,000 in just 10 days without you!